At the end of March, me and Tsubasa, we participated in two international shows in organized in Uzhhorod by Ukrainian Kennel Club. 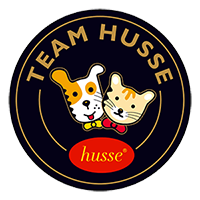 We treated this show like a good training session for Tsubasa, before August’s Euro Dog Show in Belgium so we were more focused on learning than winning. At the first day we were judged by Viktoriya Pogodina. Tsubasa appeared himself quite good at the table and really nice inside the ring. 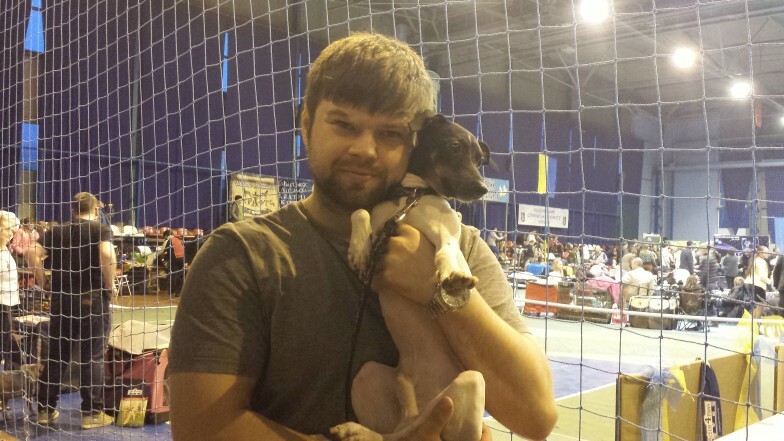 He received CAC, CACIB i BOB so he met all the requirements to be Ukrainian Champion. BIS contest was even better. Even though Tsubasa did not stood on the winners’ podium he presented himself great what was perceived by our colleague exhibitors. Next day we were not such confident and relaxed as the day before. It’s because we were judged by Olga Goncharuk who we think is not so gentle for the dogs. We had bad luck, when the judge tried to move the table to different place, she stood it really close to Tsubasa, almost on him. It really scarred him off. It was the reason he didn’t want to present himself nice. The judge had no choice and gave him ‘really good’ note. Despite of bad luck at the end we are really pleased with this show.